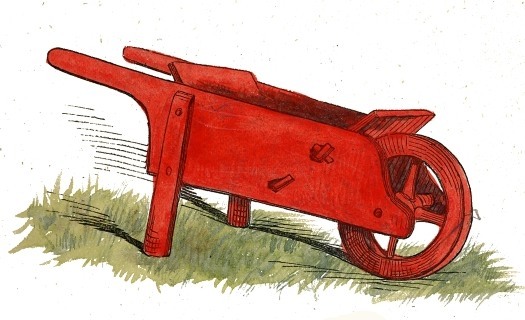 What a great garden image, a bright red wooden wheelbarrow! A wheelbarrow and make gardening so much easier. Wouldn’t it be nice to have a pretty wheelbarrow picture to use on your next scrapbook page about gardening or other gardening-related project? This vintage drawing dates back to 1869 when it was included in one of the children’s books published by Ward, Lock and Tyler of London. It was called Harry’s Ladder to Learning.